Adoptions are the key to our success. All potential adoptees are given a home-check and interview to help make sure the destination is safe and suitable for a new puppy. All puppies are vaccinated and, as per European Union regulations, checked by a vet prior to travel. We transport the puppies ourselves to reduce the time spent traveling and the impact of travel on the dogs and puppies. 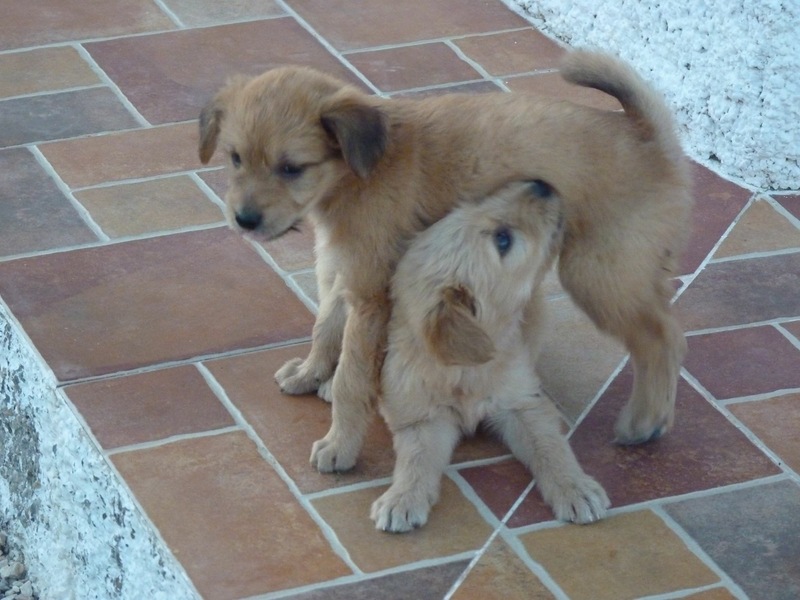 All of our puppies are socialized, with people and other dogs, while in our care. 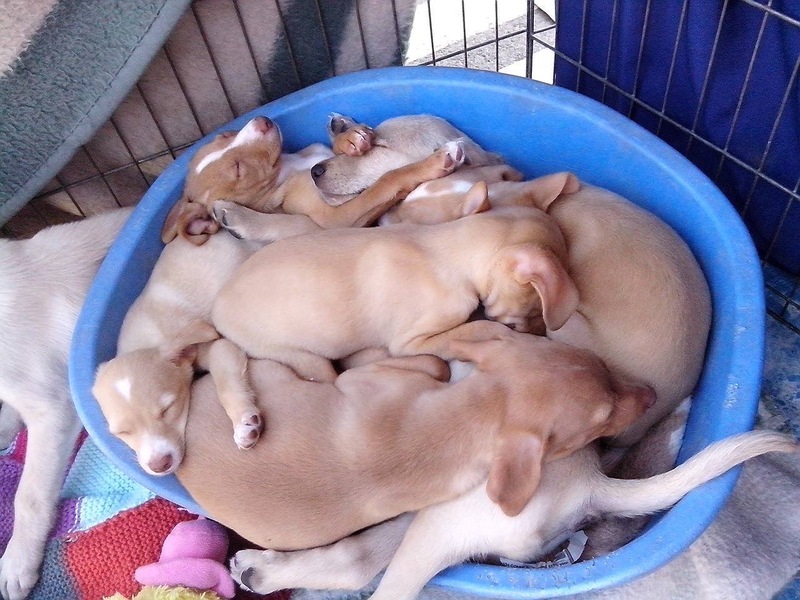 This makes the puppies happier, healthier, and well-adjusted so they are ready for their forever homes. Our efforts reduce difficult transitions for puppies and the adopting individuals or families, which makes it easier to match puppies to their true forever homes. Are you interested in one of our puppies? Our available puppies are always shown on our Facebook Page, and many are featured here on our Available Puppies Page. For information on the adoption specifics, check out our Adoption and Information Forms and feel free to contact us for more details. We also gladly accept donations. Monetary donations can be made through PayPal (link in the right-column) and material donations can be made to our shop in Albox, Spain. If you wish to provide some other type of donation, please Contact Us and we will help make arrangements. Thank you for your support!